If you have an interest in anthropology and archaeology, you should not forgo a visit to the National Museum of Anthropology within Mexico City. It houses the largest global collection of ancient Mexican art and offers visitors exhibits of current Mexican indigenous groups. The different halls in the museum are dedicated to a specific cultural region within Mesoamerica. It is quite easy to spend several hours making your way through this museum. The museum houses 23 permanent exhibition halls. The ground floor houses the archaeological exhibits, and the exhibits about current Mexican indigenous groups can be found on the upper level. 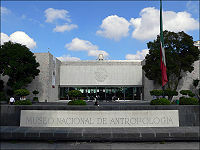 Upon entering the museum, the rooms placed on the right hand side contain information on the cultures that were developed within Central Mexico. These are arranged in chronological order. To obtain an overall view of the change in cultures over time, you should commence your tour on the right and work around it in a counter-clockwise manner. This method will end in the Aztec exhibit, which is packed with large stone sculptures, including the ‘Sun Stone’, which is the most famous within the Aztec Calendar. The left side of the entrance houses displays of other cultural regions within Mexico. Many of the halls offer visitors archaeological recreations, tombs and exhibits. This allows one to view the pieces in the same manner as they were discovered. When you need to take a bit of a break from all the interesting exhibits, you can sit down in the large courtyard in the center of the museum. You should set aside sufficient time to view the museum entirely. Some of the highlights of this interesting museum include the Jade mask of the Zapotec Bat God, which can be viewed in the Oaxaca exhibit hall. Others include the Sun Stone and Pakal’s tomb which has been recreated. You can reach the museum on Avenida Paseo de la Reforma by taking the metro or making use of the Turibus, which stops outside the venue. Although you may not have the need to use your vehicle to visit this interesting and exciting museum, you should ensure that you purchase Mexican car insurance to cover your vehicle, prior to leaving home. Traveling to Mexico by land is always a good option, simply because the country has so much to offer visitors. If you travel through the country by land, you can see so much more than you would if you travel by air or land. To make sure that you enjoy every minute of your trip to this interesting country, you should go online and research the different types of Mexican car insurance policies that are available. 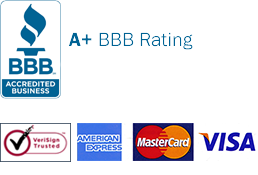 An important factor is to make sure that you buy your insurance from a licensed provider. You can purchase your Mexican insurance policy online from this MexInsuranceStore link. This will give you peace of mind that should you be involved in a vehicle accident, you will have the support of a reputable provider. Once you have done a thorough comparison of the available policies and the extra options, you can pay for it online and print a copy immediately. It is recommended that you print both an English and a Spanish version of the policy. This will be useful should you be stopped by traffic authorities who are not fluent in English. For safety driving, don’t allow any member of your family to drive in Mexico if he’s 21 years old below. If you’re not yet 21, go with a driver or someone who’s covered by Mexican insurance. Mexican parties are all fun with delicious foods. You’ll forget the time when mingling with local families who allow you to join in some family-related activities. It makes a happy fun memory for the children. You shouldn’t miss such an occasion. Take up Mexican insurance cover for your car and drive down South for this magnificent experience. Travelling in Mexico should be peaceful and convenient. Buy and print your online Mexico insurance now without delay. Any Mexico journey begins with Mexican auto insurance. Don’t dare drive to Mexico without it. Learn about this insurance because you need to legally drive in Mexico. If you can’t afford low-budget Mexico insurance, you’re not supposed to drive in Mexico. This is true, although finding the right policy may not always be easy. 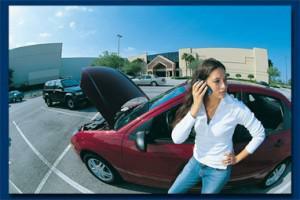 You can definitely trust your Mexican insurance in case of road accident. It’s your guaranteed first phase of protection.